Dan Hughes's conference reflections are included here, particularly the importance of not forgetting the value of the core work of DDP - helping children to stay regulated and begin to experience the joy of reciprocal connections with their parent, caregiver and therapist. Also included here is the conference programme. Dan's profile is included as is Julie Hudson's as they both chaired the conference. 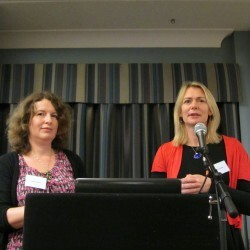 With great thanks to Alison Keith, Vicky Sutton and Marion Hunt, who organised this 2-day residential conference, including the speakers and made it all go so smoothly.